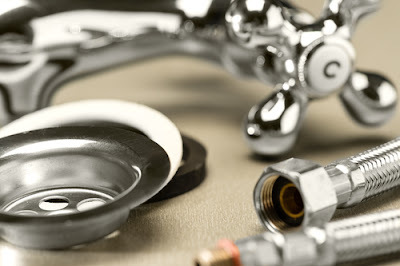 Each of the above mentioned area of plumbing need different hand and power tools, some of which will be provided by the individual plumber and others that will be provided by the plumbing contractor. 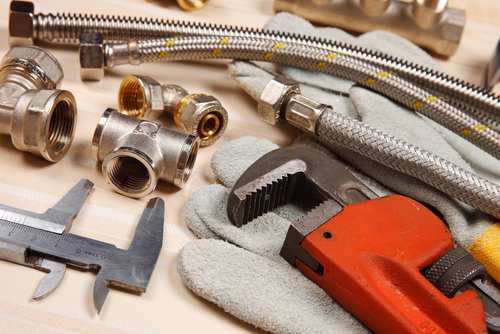 In the break down below, we discuss the typical plumbing equipment for each kind of project. In regards to plumbing tools and equipment ownership, generally, if the equipment or tool being used uses diesel or gasoline fuel to operate, your plumbing contractor will own as well as supply the tool. The plumbing contractor, in most cases will not only be responsible for owning but also supplying the hand tools including the electric or battery drills with a half inch chuck size or less. More often than not, company tools and equipment are either stored on site in heavy duty secure “gang box” or in a company vehicle. An individual plumber will either leave behind his personal tools in the secure “gang box” on site or take them home with him. In any ground work plumbing, water and drainage pipes are typically installed below the building slab surface. Before installation of the drainage and water pipes, several trenches should be dug so as to successfully fix the piping. In this stage you will require a mini back hoe or a back hoe to dig the trench and also for back filling after the job has been inspected and approved. Whilst you will need a digging bar, a pick and a shovel, most of the dirt can be removed using a machine. A portable tamper is yet another most important and common tool used by plumbers. It is used to compact soil that is paced in the trench. To be able to figure out the right elevation of the pipe, a plumber will in most cases use a builder’s level. A six inch level is also regularly used by plumbers to verify that a drainage pipe has the right slope on it. A motorized hack saw or a hack saw can also be used when cutting the PVC. Cast iron pipes on the other hand can be cut using a special tool. Electric tools are normally powered using a generator, in case there is no electricity. Non motorized and motorized tools and equipment are the best for the above slab rough plumbing. Here the common tools you will need: drills, propane torches used in soldering, hammers, screw guns, rotary hammers, hack saws, saws, motorized hack saws, tape measures, reciprocating saws, pencils, stick rulers, core drilling equipment, builder’s crayons, tools used for cutting pipe fitted with dyes for gas piping, cramping tools used for connecting water pipes, levels of different sizes, a cutting tool for cutting cast iron, portable lights, drop cords, a shovel and brooms for clean up. Most of the above mentioned tools are used when creating a path through the building for the installation of the plumbing. As the plumbing project comes to the final stage, the tools required are normally the hand tools needed to set the plumbing fixtures. These tools are vise grips, screw drivers, hack saws, drills, portable lights, “channel locks” pliers, faucet wrenches, drop cords, a propane torch used in sweating fixture fittings, screw guns and a level of different sizes. Typically, maintenance or service plumbing requires many of the previously mentioned tools and also a few other specialized tools such as a plumber’s snake that is used to clear the clogged drains. This phase of plumbing also requires a special tool known as a plunger used in stopped- up toilets. Camera is also another specialized tool used at this stage of plumbing. It enables a plumber to see the inside of a pipe so as to determine what the problem could be. In many parts of Singapore where pipes that are clogged with cooking oils used in the kitchen are common, plumber will have heaters and heat tapes available to assist in melting out the clogged pipes. Generally, experts advice that you should purchase the best tool that you can afford. High quality plumbing tools will last a career if you take good care of them. However, note that while all the above discussed plumbing tools and equipment are a perfect aid to the plumber, they will not be useful if the plumber does not understand how to us them. You should therefore get proper training on how to use these plumbing tools in order for them to serve you well. Anybody who lives in a home long enough will at one given time deal with plumbing problems such as dripping faucets, clogged sinks, leaky pipes, plugged-in toilets among many other problems related to plumbing. There is simply no way to prevent it. Plumbing problems do occur. 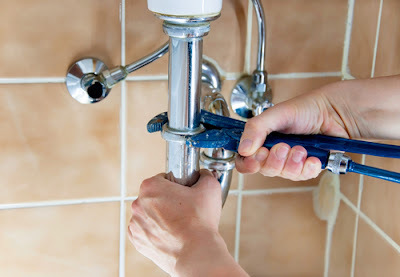 You may call in a plumber or fix the problem on your own long before your plumber calls back to schedule an appointment. However this can only happen if you have the right tools and understand perfectly well how to use them.